Young women — especially those from broken homes — face a range of challenges in Thailand. This is complicated by the stigmas attached to abuse and single-motherhood. By applying to be a women empowerment volunteer in Bangkok, you’ll be poised to make a difference in the lives of at-risk mothers and their children in Thailand’s capital. Inquire today to learn more about how you can help transform Bangkok into a more hospitable environment for those who live here. Bangkok is a sprawling, metropolitan center, complete with gleaming skyscrapers, ultra-modern shopping complexes and a roaring nightlife. However, as with any city of this size, there are darker sides to Bangkok. Fortunately, a few philanthropic organizations have stepped up to ease some of the social pressures at work in this cosmopolitan hub. The organization behind the Women Empowerment Project is doing just that. By joining the ranks as a women empowerment volunteer Bangkok wide, you’ll be making a positive contribution to the lives and welfare of single mothers and their children in the area. In the process, you’ll also get to see and experience parts of the city that tourists rarely come in contact with. Volunteers on this assignment work alongside those involved in the Kindergarten Teaching Project. The project site is hosted by a well-established organization that works with young women from an impoverished district in Bangkok. Due to its success rehabilitating abused and under-privileged women from the area, this center has been able to reach out and accept teenage girls from 60 provinces around Thailand. Many of these young women come from broken homes or backgrounds of abuse. Single mothers from the local community also receive support here, including full pre- and post-natal care. With that in mind, volunteers are able to contribute in a variety of meaningful ways — from assisting with childcare to helping teenage students with homework and projects. The organization behind the women’s empowerment project operates in a prominent Bangkok slum, notorious for its poor living conditions, impoverished residents, and the socio-economic challenges that this presents. People born and brought up in this community are disadvantaged from day one, and rising out of the slum is a challenge for which many are ill-equipped. These problems are only compounded by the stigma of single-motherhood. Across many cultures in Asia – or even in the West, for that matter – being a single mother puts a woman at an immediate disadvantage. In Bangkok, the situation worsens when the woman does not have supportive family structure to fall back on to. 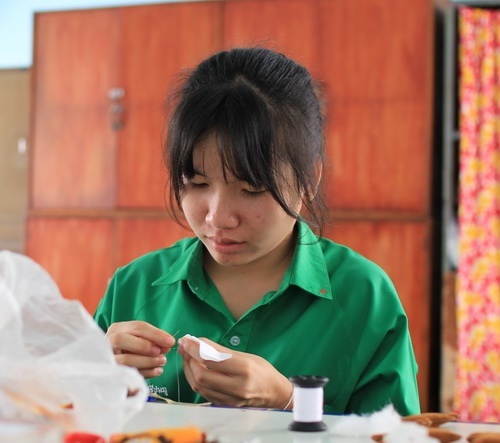 This is where our Thailand women empowerment volunteers can help to make a difference. Volunteers can lend a hand in several different ways. To begin with, the organization to which FFA sends volunteers focuses on equipping single mothers with professional skills development. One of these skills is English-language proficiency. Volunteers can help with lesson planning, or simply invest time in English conversation with the women to give them a chance to practice in their downtime. Childcare is also a critical consideration. Mothers with young children and little support structure have enough trouble finding time to work, let alone develop their professional skills set. This is one of the most important ways that this project empowers women. To that end, working with young children is a potential way which volunteers can get involve. Finally, Thailand women empowerment volunteers can also contribute simply by spending time and connecting with the women at this project site. In some cases, the staff may ask for assistance from the volunteer in escorting pregnant teenage mothers to an off-site clinic for prenatal care. Otherwise, simply showing an interest in the lives of those seeking refuge at the facility goes a long way towards boosting confidence and equipping these young mothers for success. To learn more about this and other volunteer opportunities in Asia, feel free to contact Friends for Asia. Or, if you’re ready to set the process in motion, fill out an application today to get started. Some volunteer projects are task-intensive, and it’s natural to measure success in bricks laid, hours logged and paperwork completed. However, the Women’s Empowerment project is much more complex, helping teenage girls at risk, and that have been abused. There are plenty of tasks to complete, but real success has everything to do with forging relationships and providing support. Simply put, this is some of the most important work completed by Friends for Asia volunteers in Bangkok. It is difficult to fully comprehend the sense of abandonment that those who have suffered abuse experience. Positive and dignified interactions with others help to overcome this. Furthermore, the education and training that these young women receive equip them to earn an income and support themselves as they step into adulthood. Likewise, the single mothers at this home typically don’t have a support structure to fall back on. Prenatal check-ups and hospital visits are so much easier to go through when another women is there to simply talk with them and reinforce the fact that they are not alone. Participation in the Women’s Empowerment Volunteer Project starts at a minimum of four weeks at $1037 US. Each additional week is $119. Read more about why we require fees for volunteers and interns.